This abstract giraffe sculpture is impossibly charming, showing two of these magnificent creatures gently entwined. 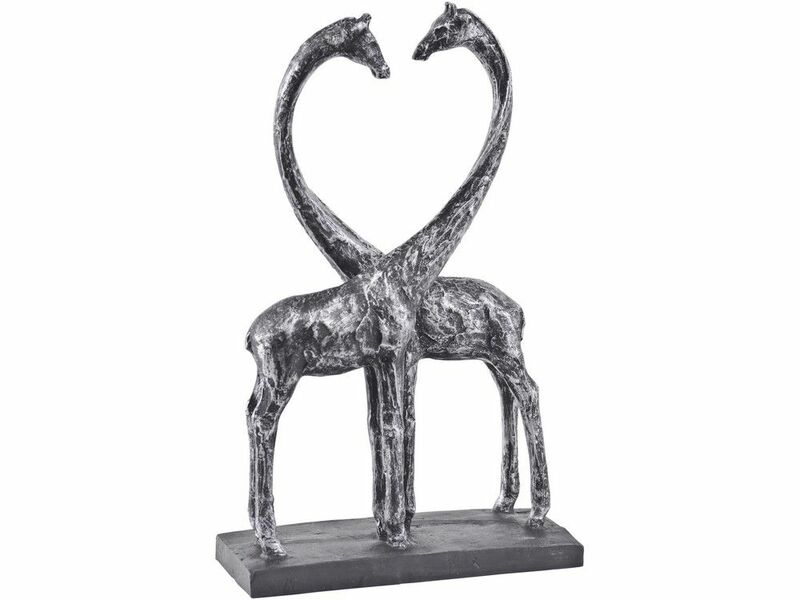 With their necks forming the shape of a heart, this giraffes in love sculpture is a gorgeous tribute to the raw innocence and beauty of nature. Made from resin with a roughly textured finish, this decorative giraffe ornament has a lovely worn silver look that complements the abstract contemporary design. Place this sculpture anywhere in the home to bring warmth, love and character to rooms.